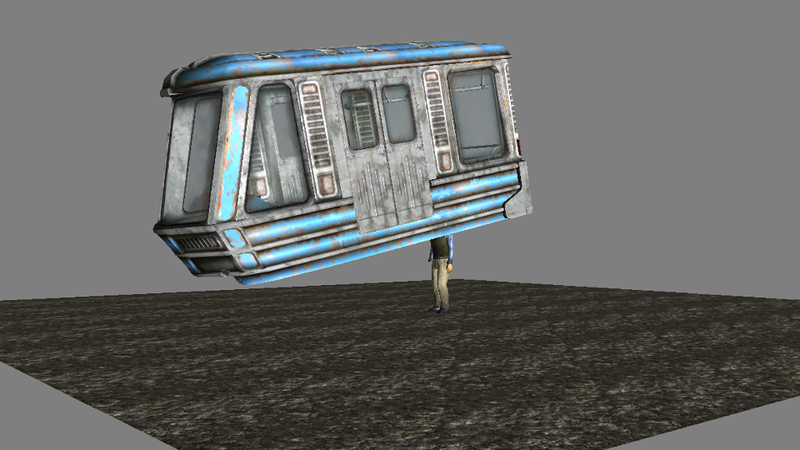 Fallout 3 wasn’t built to feature functional subway trains. Bethesda’s extremely weird workaround? You. 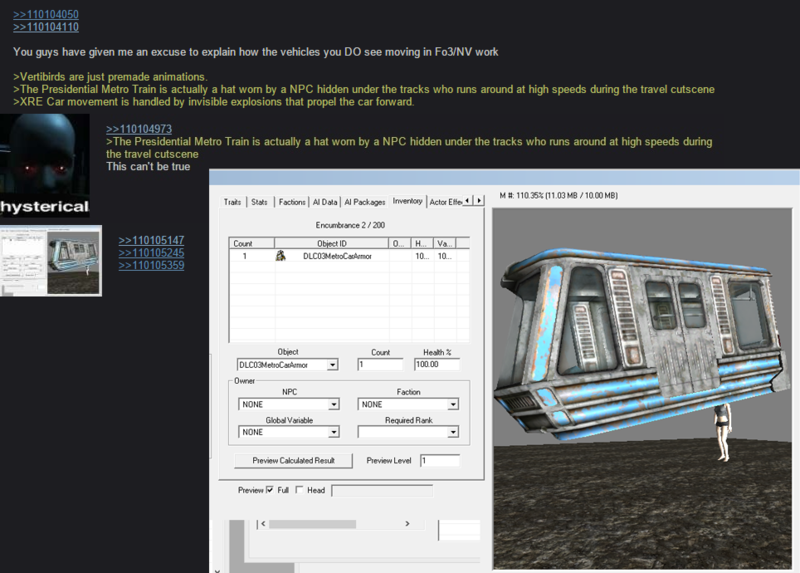 Recently a 4chan user claimed to have discovered that Fallout 3’s trains—specifically, the Presidential metro in Fallout 3’s ‘Broken Steel’ DLC—were actually hats worn by non-player characters who’d run beneath the game world, thereby creating the appearance of a functional train—you know, instead of a horrifying train monster with debilitating neck strain. They were wrong. Sorta. The train still appears over your character’s head. You’ll notice, however, that the character’s arm has completely disappeared. 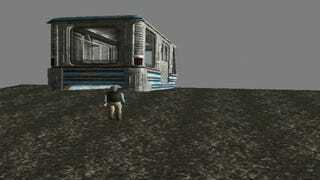 In the actual game, the train does not appear to turn on its side (though the special first-person camera view might correct for that). It does, however, take that exact route. So, years after the game came out, you’ve seen behind the curtain, and it’s... well, there’s a reason Bethesda didn’t go around saying, “Hey, check out our sweet man train physics engine.” But hey, that’s video game development for you. Workarounds abound in all your favorite games, and some of them are pretty damn impressive given what they’re, well, working around. On that note, I can’t wait to see the trains in Fallout 4. I hear they’re so next-gen that they’re powered by a shrunken down version of Fallout 3’s entire world. Also dogs.